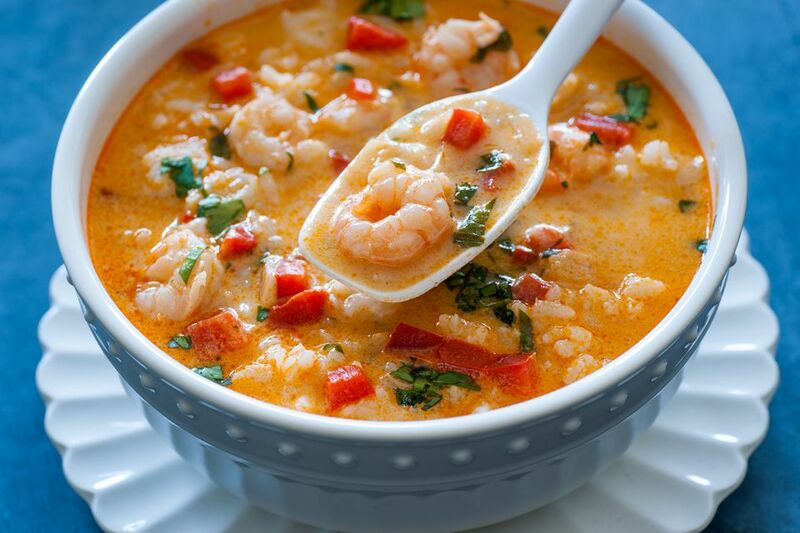 If you enjoy seafood, you'll love this sumptuous curry. The recipe starts with a healthy homemade, rather tart curry sauce that marries beautifully with fish and seafood. The sauce is heated in a wok or deep frying pan, to which an assortment of seafood and nutritious vegetables are added, plus cubes of pineapple. It's a healthy, one-pot gourmet delight that will impress your friends and family. Make it as the main course for your next potluck or dinner party. Make the curry sauce by placing all curry sauce ingredients in a food processor or blender. Process well to create a fragrant Thai green curry sauce. Pour sauce into a wok or deep frying pan and add the kaffir lime leaves. Set over medium-high heat, stirring occasionally until sauce begins to bubble. Add all the vegetables except the basil, and stir well. Reduce heat to medium-low (so curry is gently simmering). Simmer 5-7 minutes, or until the eggplant has softened. Stir occasionally. While vegetables are simmering, rinse and cut the fish into smaller segments (e.g. 2-3 inches long). Rinse the shellfish in cold water, and remove shells from prawns. Scrub and remove beards from mussels if necessary. Add the segments of fish, stirring well to incorporate into the sauce. Cook for approximately 2 minutes. Add remaining seafood plus the pineapple, stirring gently to incorporate. Cover and continue simmering until the seafood finishes cooking (about 2 more minutes, or until prawns have turned pink and plump and the shellfish have opened). Do a taste-test. Note that Thai curries usually require more fish sauce (instead of salt) to arrive at their peak of flavor. Add 1-3 more tablespoons fish sauce according to your taste. If it turns out too salty, add a squeeze of lime or lemon juice. Add more sugar if too tart, or more fresh green chili (or a sprinkling of dried crushed red chili) if not spicy enough. Ladle the curry into a serving bowl. Sprinkle the fresh basil over, and serve with plenty of Thai jasmine rice.